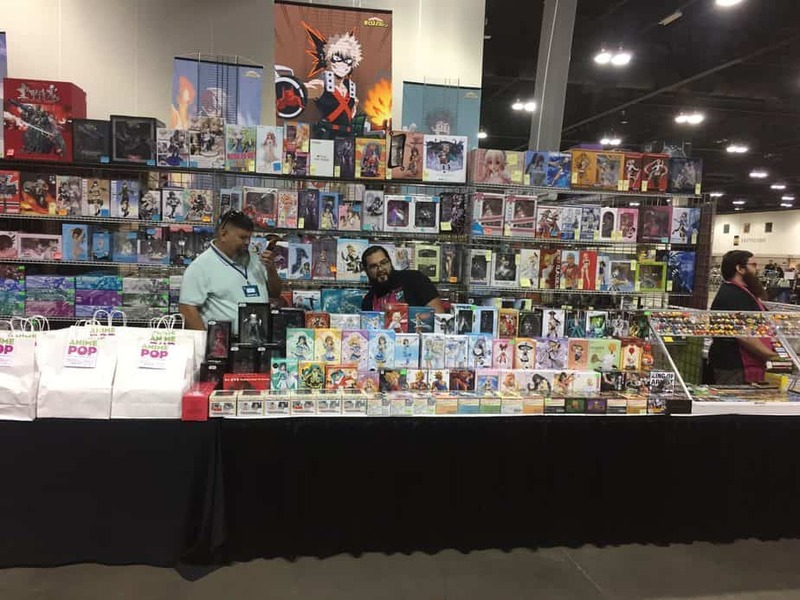 Denver Comic Con, the biggest pop culture event in Colorado, took place, June 15-17, 2018. 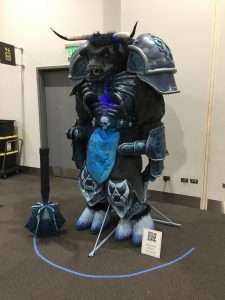 More than 100,000 guests, celebrities, artists, authors, cosplayers, and fans of all pop culture interests descended on the convention center to enjoy 3 days of great pop culture programming and educational panels. There were exclusives sold in the Exhibit Hall as well as more than 600 hours of panels and programming (including my Expanse fan panel). The proceeds from Denver Comic Con will benefit Pop Culture Classroom, a Denver Non-profit. Denver Comic Con decided not mail badges this year. Instead, they used a new system, called Flash Seats, which certainly saved some trees and it seemed more efficient. Flash Seats is an ID-based digital ticketing system and app. The attendees can identify themselves by using a photo ID, the credit card used to purchase tickets or with the Flash Seats mobile app to pick up their badge at the convention center. This method was efficient and if a fan went early on Thursday, there was a minimal wait to secure convention badge. Denver Comic Con (DCC) made early badge pick-up available Thursday, Jun. 14 convention center from 10 a.m. – 6 p.m. at the entrance near 13th St. & Welton St. They advised all three-day badge holders to pick up their badges on Thursday to save time. This system worked exceptionally well, as it only took minutes for me to secure my three-day badge. 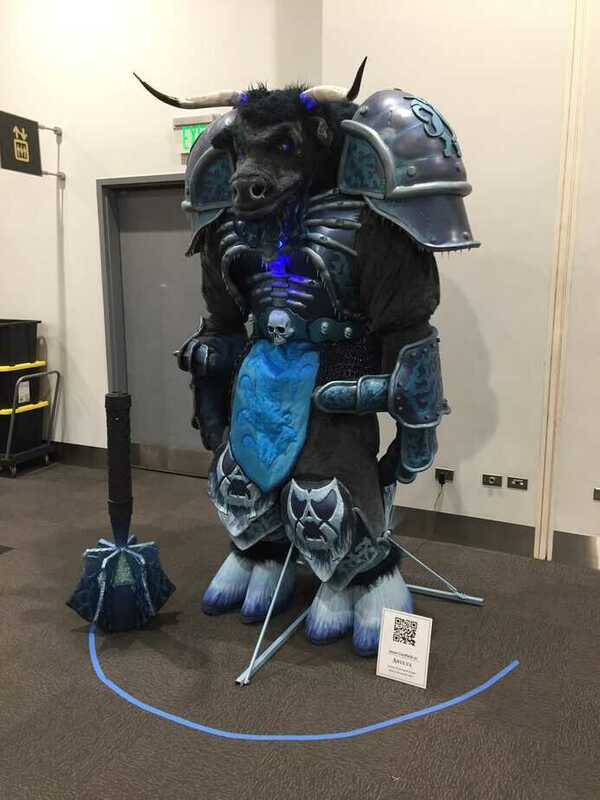 Unfortunately for DCC, the entrance for the fans turned out not to be the major problem. 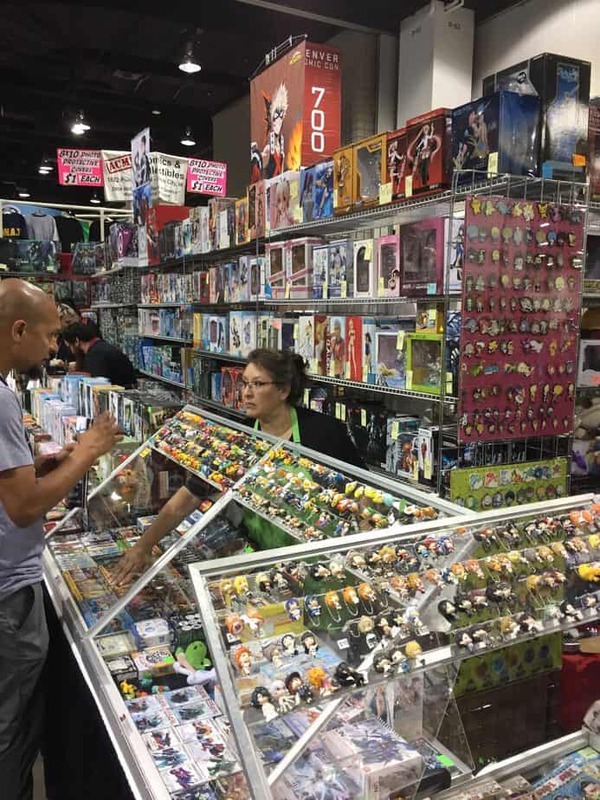 Denver Comic Con instituted measures to enhance guest safety which included specialized training for the security personnel as well as for the permanent staff at Denver Comic Con. There were also bag checks and prop checks throughout the weekend. DCC updated their cosplay guidelines which included the exclusion of all prop firearms from the convention. However, the new security measures did cause a glitch on Friday, the first day of Denver Comic Con. By 9:45 am on Friday, all of the exhibitors had not gained access to the exhibit floor for a scheduled 10 a.m. opening. In contrast, the regular attendees had minimal delays entering the convention from the three other entrances. The problem was corrected by Saturday morning and, for the remainder of the weekend, there was a minimal wait to enter. One of the causes for the delay for the exhibitors was the need to check all items entering the convention center. It appeared by Saturday, the problem was solved by adding more security to check the bags and using an approach similar to the TSA-Pre ✓ program. However, once the attendees were on the floor, there was easy access to all areas. Also, DCC has a superior food selection as well as adult beverages which many people were enjoying. Personally, I like stopping at the publishing booths as they still give out free books. Sometimes the publishing booths have uncorrected proofs of unpublished novels. If you are a fan of a certain author, this is a wonderful opportunity to score an unpublished novel early! One of the big publishers of science fiction and fantasy novels, Orbit Books, made their inaugural trek to DCC this year. Additionally, authors were available to sign books and depending on the author, a fan might have an opportunity to chat with their favorite authors such as Peter Brett or Jacqueline Carey. 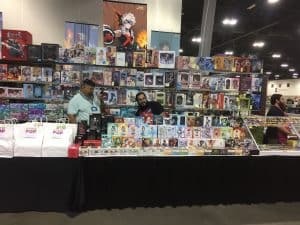 Click on this link to see the listing of the numerous artists, celebrities, and authors who appeared at the convention. Since one of the major objectives of DCC is education, they had a special area devoted to children. DCC dedicated more 10,000 sq. ft. of floor space to the Kid’s Lab. This was a space for kids and teens to explore pop culture through projects and talks from industry luminaries. DCC had over 600 hours of programming which included scientific lectures as well as celebrity interviews, artist interviews, panels about popular culture even fan panels. 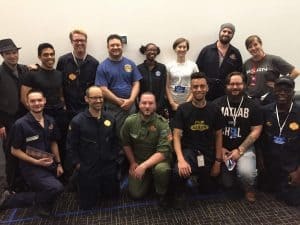 For the second year, I hosted The Expanse fan panel. This year was the second year that I hosted an Expanse fan panel at DCC. They were kind enough to give us a prime slot at 10:30 a.m. on Saturday morning. We had a sizeable and engaged crowd. The cast and crew of The Expanse had given me several gifts to share with winners of our quizzes at our panel. 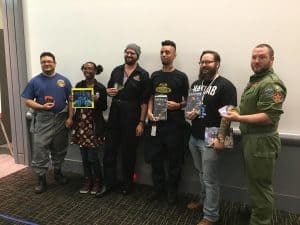 The prizes included graphic novels, Expanse patches, and a picture signed by many members of the cast. The audience really enjoyed the prizes and the special video introduction that Steven Strait (James Holden), and Wes Chatham (Amos Burton) made for them at the International Space Development Conference in Los Angeles. It was at this conference that Jeff Bezos announced the new home of The Expanse at Amazon. Members of the audience enthusiastically took part as they cosplayed as characters from The Expanse. Denver Comic Con has grown quickly but it is still accessible to both the devoted and the casual fan. Although there were logistical issues on Friday, DCC moved quickly to resolve the problems and by Saturday the convention proceeded smoothly. DCC is truly a family affair with panels and programs which appeal to both children and adults. It is heartwarming to see entire families attend with both children and adults in costumes. DCC was great fun and it promises to be as good or better next year – May 31-June 2, 2019. See you there!